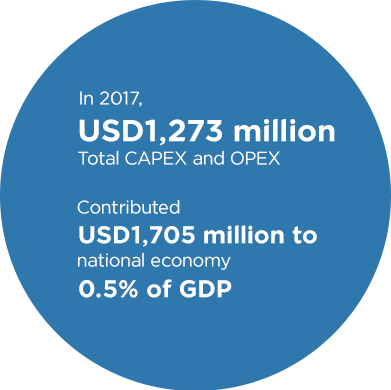 In 2017, the Malaysia’s digital economy contributed 18.2% to the country’s GDP and is expected to exceed the projected target of 20% earlier than the 2020 target. As SMEs represent over 76% of Malaysian businesses, the government is focused on launching initiatives to empower local SMEs and micro business to unlock growth opportunities in the digital economy. Axiata's impact across its operating companies.